You'll be £9.99 closer to your next £10.00 credit when you purchase Sniper on the Eastern Front. What's this? 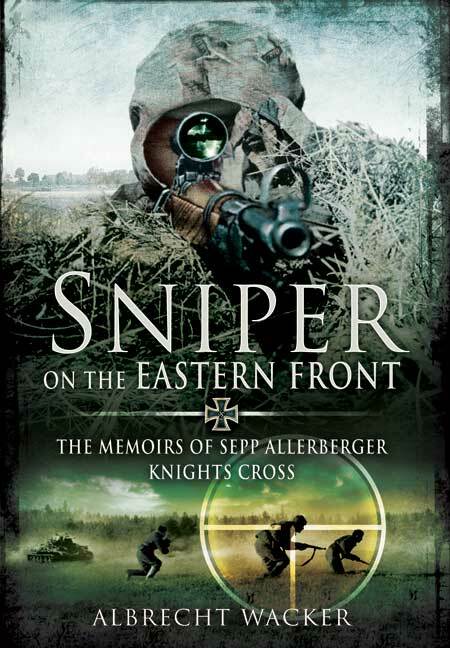 It is a great read and covers just about everything you would want to know about Allerberger, the weapons, techniques and employment of German snipers on the Eastern Front in WWII but does it in a manner and narrative that is never boring and is guaranteed to hold your interest. I read this book in one sitting (I confess to being a bit of a speed reader) and found it so interesting that I have re-read it twice since then as well as referring to it for a few facts now and then. You cannot go wrong in buying this book... It flows and reads like fiction but all of it is true. A must have in your library. I honestly cannot recommend a better book. It is my favorite book by far. It is gripping and I promise once you start you won't want to stop. It is absolutely amazing. It tells you everything you could possibly want to know about the man, and provides a lot of inside information on both the tactics of a tried and true marksman and the Wehrmacht. The book is just that amazing. I have quoted it for historical projects or just in conversation. It is very very detailed (almost too much in some places). Great book. Would absolutely recommend.